The price of gas in recent years has been playing an ongoing game of ping pong, with the oil companies coming out the winner by far. With this in mind, there are numerous ways in which the owner of a new or used vehicle in Milton can add as much as a 20% increase to the overall fuel economy. Get it all done at once - Do all of your errands in one trip instead of several. If you are looking to use less gas overall, think about walking to your destination or taking advantage of car pools. Major highways in Milton, including the 401, have designated lanes for those who are traveling in a group. As an added bonus these lanes tend to move faster. Keep to the speed limit - Highway driving at 110kph will add a fuel consumption of 1 to 2 liters each time you do not stick at the posted 100kph rate. Keep your vehicle at a constant speed by using cruise control whenever possible, further reducing the amount of fuel that you are using. Keep the throttling down to a minimum - Brake and accelerate gently. Not only will this your brakes some wear and tear, it will also help to save on fuel in your vehicle. Don't let your vehicle warm up too long - With the new technology in modern cars, 30 seconds is about all that it really takes to get the engine warm. During highway driving keep the windows up - Air flow and drag through the windows while driving on the highway is capable of decreasing the fuel economy in your vehicle by close to 10 percent. Always use the motor oil that has been specified in your vehicle owner's manual. Have it change on a regular basis, according to the factory recommendations. Keep the amount of carry weight in your vehicle down to what is strictly necessary. Fuel consumption can increase by 1 or 2 percent for every extra 45kg in the vehicle. The owner's manual is a fountain of needed information, including which octane of gas you should be running in your vehicle. 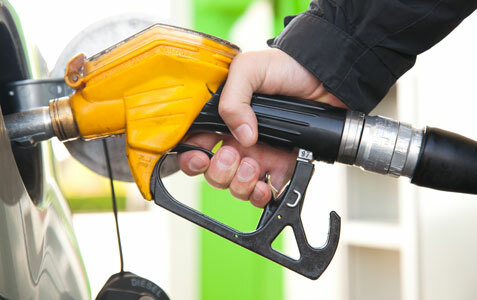 Fill up with the grade of fuel that has been recommended for your vehicle. If you find that, even after following these tips above, that your vehicle still does not seem to have the proper fuel efficiency, there may be a deeper problem. In this case, you will want to make a Precision Service appointment with Gorruds Auto in Milton, Ontario, Canada. The expert team will thoroughly examine your vehicle for any issues that may be causing the problem.